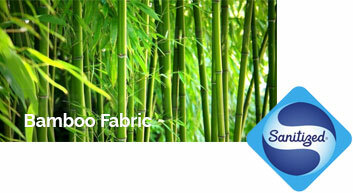 Our environmentally-friendly bamboo covers are Sanitized®-treated to ensure that the covers are well cleaned. Our covers provides exceptional moisture absorption (even better than cotton!) due to its naturally high absorption threshold which allows water droplets to evaporate quickly. 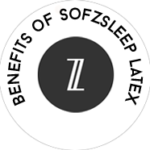 Perfect for a comfortable and dry sleep. Bamboos have natural antibacterial properties, and we have transferred that into our bamboo cover, keeping you feeling fresh and clean. Our covers are Sanitized®-treated to prevent the growth of moulds and fungi and repels dust mites.The treatment also acts as a round-the-clock mattress deodorant, keeping yoursleep environment squeaky clean and leaving you feeling protected all night long. Our bamboo covers are naturally thermo-regulating, keeping your body at a desirable, constant temperature throughout your sleep. This mattress cover is a thermo-regulating performance fabric engineered to wick moisture and accelerate dryingby pulling perspiration away from skin. Our covers uses technology which provides a unique moisture management system to keep you cool and dry all night. Equipped with technology that provides exceptional air circulation and moisture management, it keeps you cool and fresh throughout your sleep. The rate of cooling and the evaporation of perspiration changes rapidly according to your body’s temperature. The technology complements the skin’s natural moisture transport system, by providing controlled cooling, giving you a comfortably dry and cooling sleep. The Adaptive® treatment helps to increase the rate of evaporation and also helps to reduce humidity greatly. ADAPTIVE is a Swiss-based HeiQ’s intelligent textile technology, transforms the mattress cover into a dynamic textile that responds to the sleeper’s needs.